Watch the haters freeze up after you roll out to the beach in these dope Volcom boardshorts. 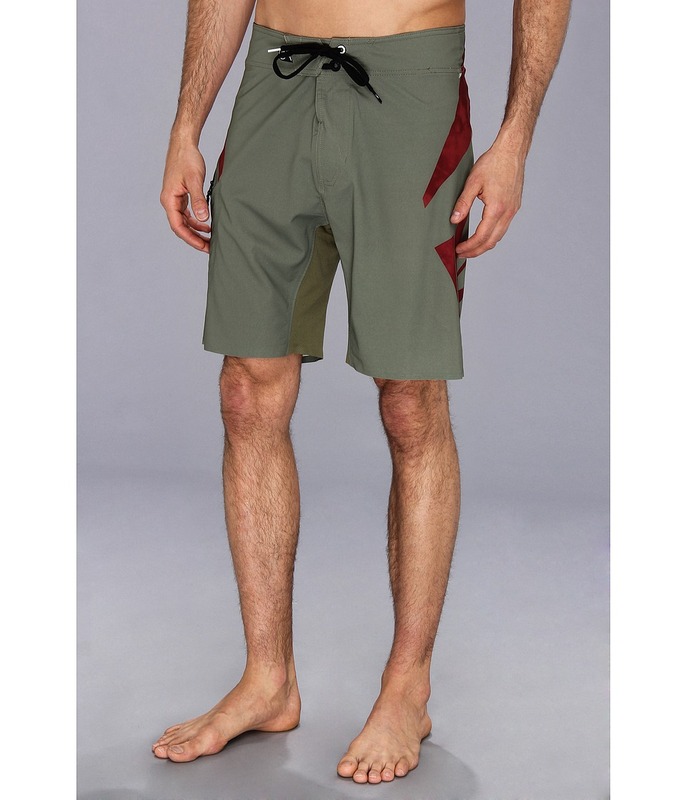 Durable Water Repellent coating ensures this boardshort dries quickly to prevent discomfort. Resilient four-way stretch material for enhanced flexibility. Stitchless, stretch seams to prevent chafing and irritation. Stretch, mesh inseam gusset. Engineered print. Front tie closure with Cinch Fly Technology. Zippered pocket at right leg. Volcom logos throughout. 48% polyester, 40% recycled polyester, 12% elastane. Machine wash cold, tumble dry low. Imported. Measurements: ; Waist Measurement: 32 in ; Outseam: 20 in ; Inseam: 9 in ; Front Rise: 11 in ; Back Rise: 16 in ; Leg Opening: 22 in ; Product measurements were taken using size 32. Please note that measurements may vary by size.